PASADENA, Calif. — Phase Four, a company developing an advanced electric propulsion system for use on cubesats and larger spacecraft, announced sales of its thrusters to NASA and Astro Digital May 24. In a separate agreement, Astro Digital, a Silicon Valley-based company developing Earth imaging smallsats, will buy Phase Four thrusters for use on its Landmapper series of satellites. Astro Digital, which also manufactures satellites for other companies, will offer Phase Four thrusters on those satellites. In an interview during the Space Tech Expo conference here May 24, Simon Halpern, founder and chief executive of Phase Four, said the agreements are validations of the company’s technology. “That’s a great vote of confidence from NASA to actually deliver something to them,” he said. Phase Four’s thruster is a plasma propulsion system that makes use of radiofrequency technology, rather than electrodes, to generate the plasma. The thrusters provide high specific impulse without the expense of alternative systems like Hall Effect thrusters. 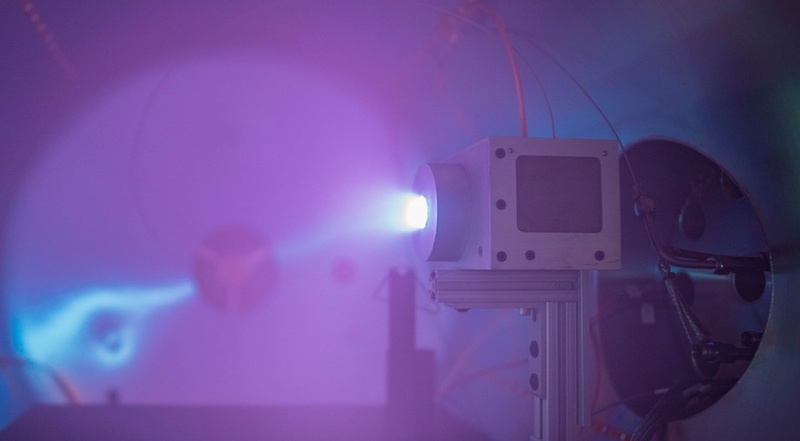 The company released test results in April by the Aerospace Corporation that found that its thrusters has performance comparable to Hall Effect thrusters. The first flight of a Phase Four thruster will take place later this year, Halpern said, as a technology demonstration mission in cooperation with Astro Digital. “It’s purely a demo of our ability to build proper flight hardware,” he said, including the entire propulsion subsystem of which the thruster is one part. The Phase Four technology can also be scaled up and used in an array for use on larger spacecraft, including large geostationary communications satellites, he said. However, he said he expected the bulk of the demand to come from large constellations of smallsats and cubesats versus larger satellites. Phase Four is one of a number of companies offering innovative technologies to serve the growing demand for smallsat propulsion system. Like participants during an earlier panel at the conference, Halpern expected there to be some consolidation in the years to come.